Extreme Craft: Rock Poster printed on LP! Rock Poster printed on LP! You are looking at a rock poster for the band Wolf Eyes by Chunklet Magazine Majordomo Henry Owings. 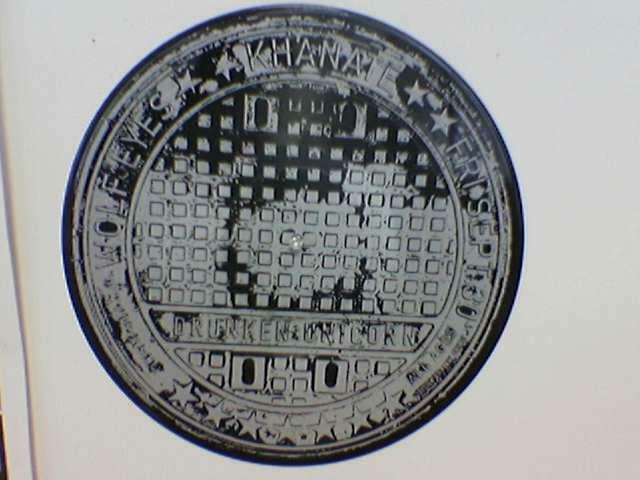 This faux manhole cover was silkscreened onto an actual LP record (in my case, a Christian record by "Storytime Revival Band"). Now that's Crafty!